Here we go again. Election year! It’s time for all the good Christians to start arguing over presidential candidates and shrouding Jesus in the American Flag. So many people genuinely believe that somehow their nominee is going to miraculously save the world (that’s already been done; that party was represented by a Lamb, not an elephant or a donkey). Warning: aggressive political comments incoming. The following words will challenge your loyalties and make you feel uncomfortable. For the sake of clarity, I love my country, but I love the Kingdom of Jesus way more. If you’re easily offended, stop reading now. No political party will ever legislate the Kingdom of God. Constantine tried; it was a disaster. When Christians take political matters more seriously than they do Jesus, the constitution becomes the gospel and the president becomes the messiah. The Christian icon is a bloody cross, not stars and stripes. Its emblem is not a donkey, an elephant, or even an eagle, but a slaughtered lamb. If you’re more concerned with Republicans and Democrats than you are the Kingdom, you might be more American than you are Christian. If you spend more time with Bill O’Reilly or Bill Mayer than you do with Jesus, you might be more American than you are Christian. If you spend more time watching Fox News or CNN than you do reading the Bible, you might be more American than you are Christian. If you spend more time posting political images on social media… well, you get the picture. 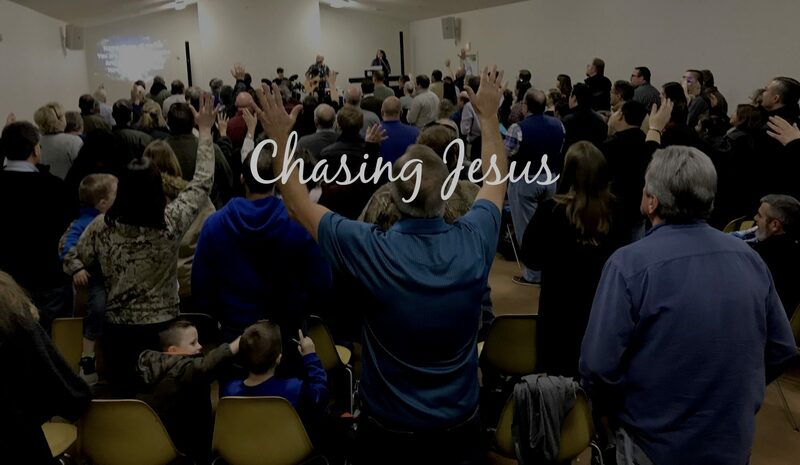 Let me be clear (see what I did there): If you have more faith in Donald Trump or Hilary Clinton than you do the local church to be an agent of change in your community, then you need to find a new church. The Kingdom has already been inaugurated and doesn’t need new legislation. So, change the channel. Stop letting alarmist fear-peddling talking heads fill your mind with partisan propaganda that blurs the lines between the Kingdom and the White House. Instead, open your Bible, get on your knees, and elect Jesus as president of your life. Being overly concerned with election outcomes demonstrates a misplaced hope. Politics serve as a distraction to Kingdom priorities. Nothing should undermine the mission of the Kingdom to “Go into all the world and preach the gospel to every creature.” How? By serving the least of these, by fleshing out the Sermon on the Mount, by adopting orphans, by feeding the homeless, by taking care of widows, by visiting prisoners, by welcoming foreigners, by investing in mission, and by telling everyone about the life-changing freedom discovered in a relationship with Jesus Christ. In other words, BE THE CHURCH! If you wake up after Election Day and find yourself deeply disappointed, then my friend, you have too much hope in American politics and not enough hope in the Kingdom of God that’s breaking in on our world. If you have more faith in government than you do the Kingdom, you have pledged allegiance to the wrong institution. 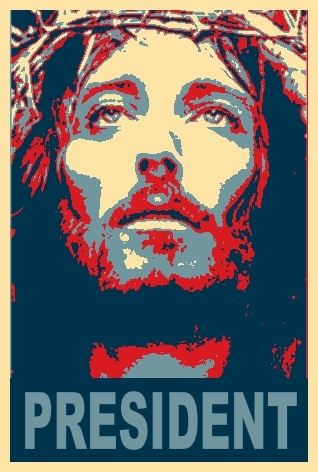 Elect Jesus as President of your life and see what happens. You’ll never wake up disappointed. I’m Rick Lee James and I approve of this post. I love that a Big AMEN! Thanks, for a good reminder and a good lesson on how easily we drift off of the best path.